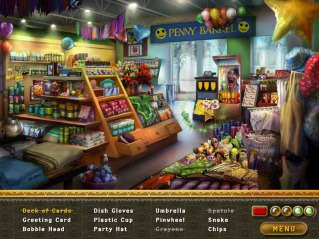 A hidden object game with a $1,000,000 shopping spree! Calling all super-shoppers! 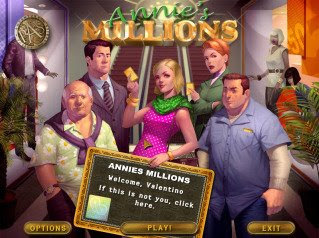 Annie has a million-dollar gold card and needs help spending her new-found riches, fast! When her Uncle Dave issues a challenge to Annie and her cousins, Annie is in a race to spend $1 million as quickly as possible. Quality counts, too, and the winner walks away as the sole heir to Uncle Dave's entire fortune! Help Annie find good buys in this million-dollar shopping spree that leads all the way from the city's flea markets to its swanky, high-class boutiques. 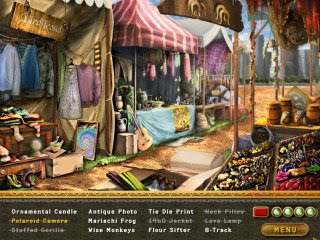 You'll need a discerning eye in this challenging mix of hidden object gameplay, puzzles and more!